Melt butter in a saucepan. Add marshmallows and cook until melted. 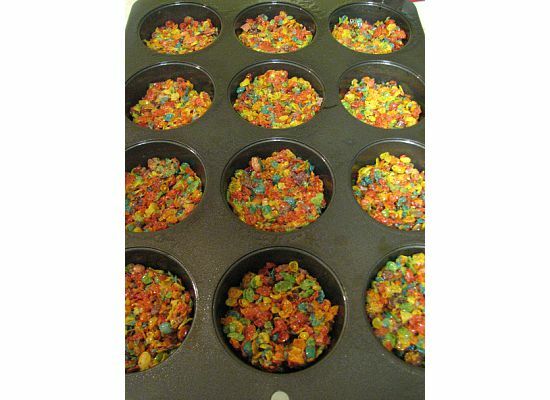 Remove from heat and add cereal. Stir until well coated. Press firmly into cupcake tins and cool. Top with frosting, if desired. You just made my stomach smile, but my pancreas cry LOL too much sugar and I LIKE IT! 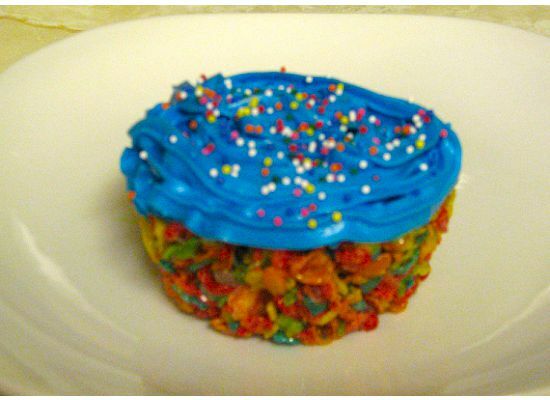 Fruity Pebbles ROCKS!